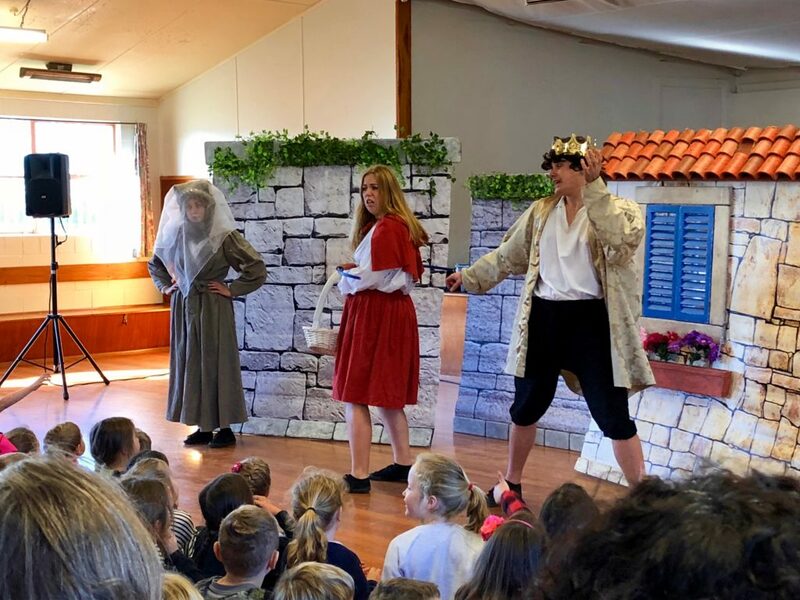 Monday 25 June, NZ Playhouse performed for us the revised Nursery Rhyme, Red Riding Robyn Hood. The King has gone crazy building giant statues of himself, and thinks the people in The Land Far Far Away should pay for it all! Everyone’s too nervous to say no, except one unlikely hero: a mysterious red-hooded figure who’s not afraid to stand up for what’s right. The team of three actors totally had the audience captured with their level of skill as actors, a script that connected with all levels and a great level that connected to the students. A fine effort to the NZ Playhouse actors.